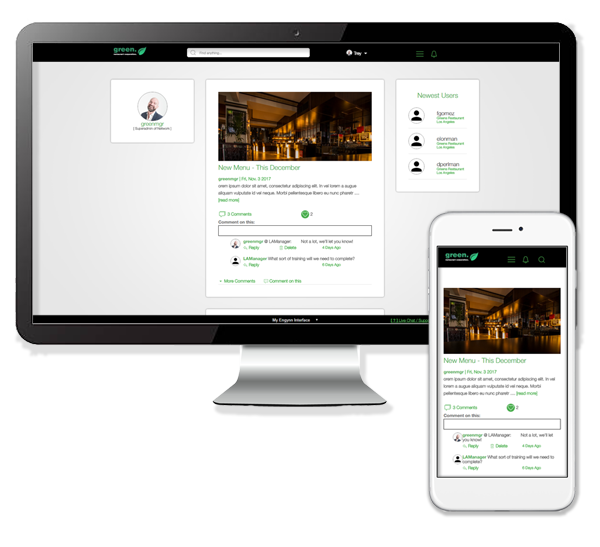 A #social intranet software that's simple and powerful. How is it different than the rest? Engynn intranet software is easy to use, and even easier to set up. It takes minutes to get started, not months. We’re here to help you, not pressure you. Revolutionizing the game with awesome service, world-class security, & a great price. Posting news to your intranet is a breeze with our easy-to-use editor. Build your intranet content out the way you want. User profiles, commenting, messaging, and other social intranet features. Designing your intranet is no longer intimidating, with 24/7 support! We follow industry best practices to ensure your intranet remains secure at all times. As your intranet grows, you can seamlessly upgrade in seconds. We have the answers to your questions in our FAQ section!